Kumkumadi Night cream is specially designed for a clear glowing skin and to provide deep nourishment. 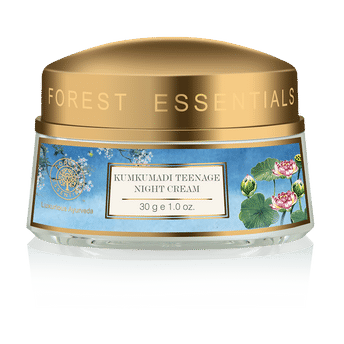 This effective night cream contains powerful Ayurvedic preparations of Kumkumadi and Manikya (Ruby) Bhasma, which help to lighten pigmentation and clarify the skin. Explore the entire range of Night Cream available on Nykaa. Shop more Forest Essentials products here.You can browse through the complete world of Forest Essentials Night Cream .